Bernie Knows Best..Even If It Hasn’t Translated To Screen Yet. At times it might seem difficult to listen to a man who is just about to turn 80. You’d think at that age, tasks would unfold themselves a lot slower than they did 50 years earlier, hearing would dwindle and the mind would evolve into a large puddle of infant formula. That is not the case for Bernie. 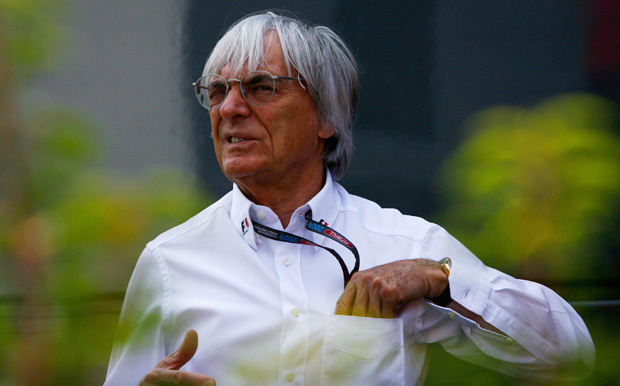 At 71, Mr. Ecclestone, commonly known as ‘F1 Supremo,’ is President and CEO of the Formula One Management (FOM) and Formula One Administration (FOA). As if that were not enough, Ecclestone is also part owner of Alpha Prema, the parent company of the Formula One group of companies. He went from driver (where he attempted to compete in two races but failed to qualify) to manager to team owner. As a member of the FOTA, he jumped up and began managing administration, setup, and logistics of each grand prix. Bernie has spoken his mind just as the Bahrain GP came to a close, replying to the criticism that unfolded as Alonso crossed the finish line to 2010’s first boring get together. Adapt is the key word here, in my opinion. Within a fortnight, the points system had been reworked, two tire compounds had been developed and drivers finally got the first taste of a heavy car come the Bahrain GP weekend. That is quite a handful to take in all at once. Fine, they are ‘professional racing drivers’ but they are also human beings. Keep in mind that Australia is quite a different track when compared to Bahrain. Fine, making two pit stops manditory, allowing teams to only use a soft compound, reducing aerodynamics packages are all decent proposals to improving the show. But for now, let us wait. Change always needs time to do what it was meant to do. Bernie knows best…until his mind evolves into a large puddle of infant formula.